Yarrow grows in the northern hemisphere, and since ancient times it has been used in traditional medical systems of Asia, Europe, and North America. 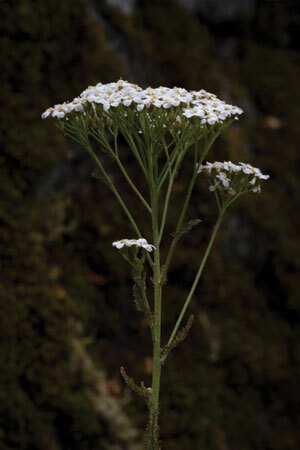 Western herbalists recommend yarrow primarily for indigestion associated with heaviness, cramping, and gas. This bitter and aromatic tasting herb stimulates digestion and relieves cramping of smooth muscles. Its antispasmodic effects extend to the pelvic region where it's often used to relieve menstrual cramps. As a first aid remedy, yarrow is valued for its astringent and vulnerary properties to help heal wounds both internally and topically. The Ancient Greeks applied yarrow to injuries on the battlefield to arrest bleeding and heal wounds. The First Nations people in North America applied it topically to bruises and strains, and the tea was consumed as a diaphoretic remedy to treat fevers and colds.